In 1992, David Seward established Synergise IT to help businesses navigate the complex world of information technology infrastructure, software and services. 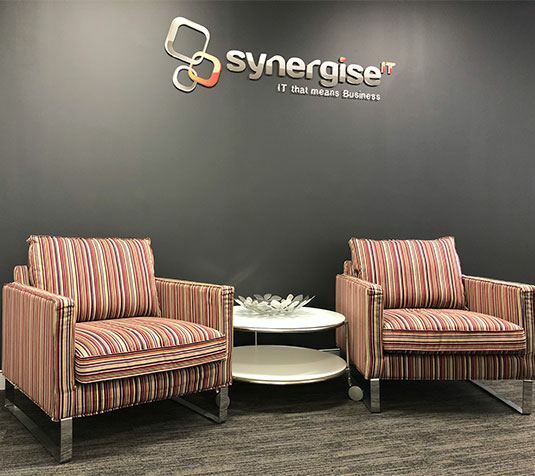 With a firm belief in ensuring that companies have the right IT support, long-term client of more than 15 years, James Barutha, joined Synergise IT as Operations Manager giving a client-based perspective and understanding to the company. Australian owned and operated, Synergise IT has developed into a full service IT services and solutions provider headquartered in Sydney. Committed to being a responsible, ethical and trusted leader in IT services and technology solutions, Synergise IT invests heavily in training and development of its team, and ensuring that the best IT solutions are available to the company’s extensive and diverse client base. The best-of-breed solutions that Synergise IT provides clients ensures that all aspects of a company’s IT infrastructure, software and team are managed with the utmost professionalism and up-to-date advice in the market. Consistently striving for excellence across all aspects of managing the IT services and solutions within an organisation. Continually stimulating and inspiring our staff through extensive investment in training and development of their technical abilities. Constantly ensuring that all areas of the IT infrastructure within a business is up-to-date, and capable of taking a business from where they are today into the future.